Where you obtain a college education does make a difference. In many cases, it’s never enough that you go to college because many educational institutions cannot provide you with all the things you need to jumpstart your career – but Pikes Peak Community College in Colorado can! Established in 1968 as El Paso Community College, Pikes Peak Community College has been offering high quality education leading to certificates and associate degrees. There are over 125 programs to choose from, and according to statistics, those who have taken two-year courses at PPCC actually fare better when transferring to a four-year course program. This is because PPCC provides an excellent foundation for its students who dream to do more in life, to go beyond what’s only acceptable or mediocre. Everybody’s welcome and made to feel at home at Pike’s Peak. It maintains an open-door policy as it very well understands the diversity of its students who come from different age groups, social classes and cultural backgrounds. Nonetheless, these students have a common goal, the one thing that make them stick it out with PPCC, and that is, to improve themselves through learning. Pikes Peak also boasts of the flexibility of its schedules. As a student, you have the option to take your classes during the day or night, or on Saturdays. You can also take classes online, which can be very convenient on your part, more so if you are a working mom, juggling one hundred and one responsibilities. 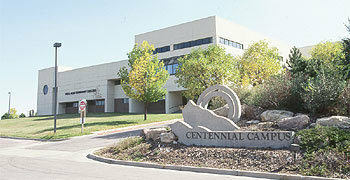 Class sizes at Pikes Peak Community College are fairly small which translates to a more personalized form of learning. You get to be given more attention by your professors. Tuition and fees are among the lowest in Colorado, and besides that, there are a number of financial aid options offered that should help you complete the program with less pressure. Job opportunities for PPCC alumni are vast and many, and this is where PPCC edges past its competitors. Because of its high standards and quality of graduates, PPCC is one community college that has the highest job placement rating. Graduates of PPCC are almost always guaranteed a spot in the corporate world, without them having to try too hard to get in. Companies trust PPCC, so getting your dream job is no problem at all. Adding to the charm of this community college is, of course, the fact that it is in Pikes Peak, a towering mountain in the state of Colorado.